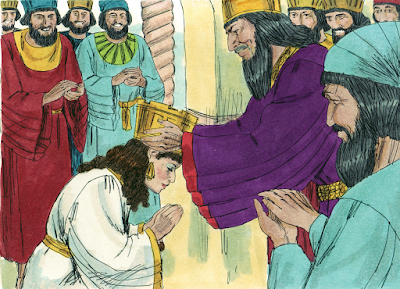 Esther is the perfect story to teach children (and adults) about God's sovereignty. From Esther's becoming Queen to the king not being able to sleep the night before Haman plans to have Mordecai executed you can trace God's hand all through the book. Why didn't God just prevent the whole thing in the first place you ask? Well, then we really wouldn't know very much of God's power and the wondrous things he can do. To teach the story, I used Free Bible Images "Esther" Power Point. There are several to chose from here. I used the one that Sweet Publishing contributed. Before we heard the story, we made groggers. Groggers are noise makers. Traditionally the Jews make them to celebrate Purim (also affectionately known as the Jewish Mardi Gras). The video below shows how to make the groggers. 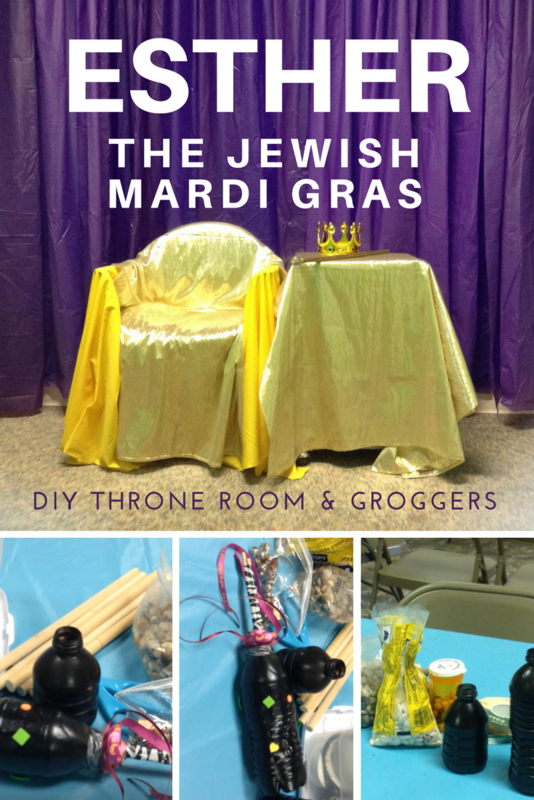 I got my ideas from Design Megillah's site. Rita made lovely groggers on her site. Esther groggers from Joan Eppehimer on Vimeo. 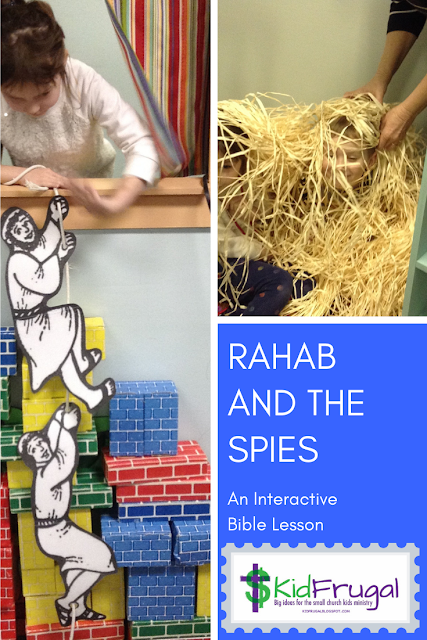 Then as I told the story of Esther, the children shook their groggers every time they heard the name Haman to try and drown it out.